The swelling in my feet and the heat of Mumbai hit me almost as soon as plane hit the tarmack at Chatrapati Shivaji International Airport. Driving through the streets at 1:30 in the morning, Mumbai was lively as ever, this being the weekend of one of India’s largest festivals – Diwali. 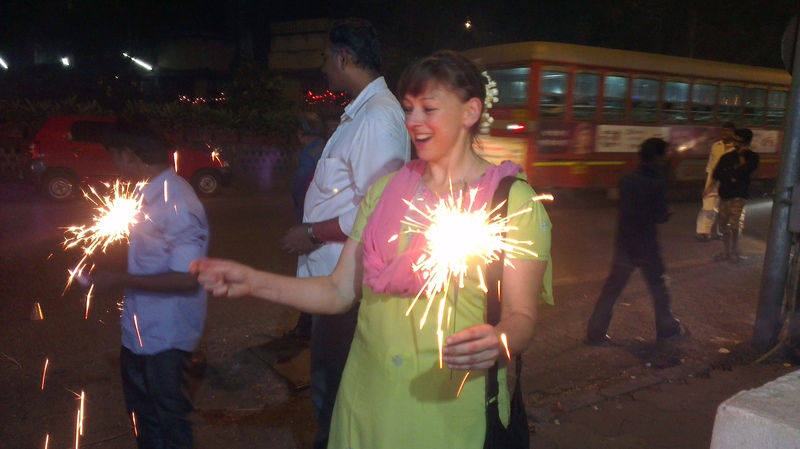 Fireworks erupted randomly along the taxi’s route to my new digs in Chembur. After a few mishaps, I fell into bed at 5:30 in the morning. Thus began GTP’s Trip Four. Because of Diwali, I have had a few days to catch up on sleep, start reclaiming the bits of Hindi I’ve learned on past trips, make some new friends and enjoy the celebrations over here. As a ‘festival of lights,’ Diwali delivers in every respect: there are stories-high curtains of ‘christmas lights’, candle light, and fireworks. And I’m talking fireworks the likes a U. S. 4th of July hasn’t seen. It is nothing to see a 30′ long strand of firecrackers get lit up. But that in and of itself is not enough, so small ‘bombs’ are added at regular intervals along the firecracker line. The effect is amazing and deafening. I can’t put my finger on it, but Mumbai is different. Or maybe I am. Or maybe sleep deprivation is having its way with my mind. 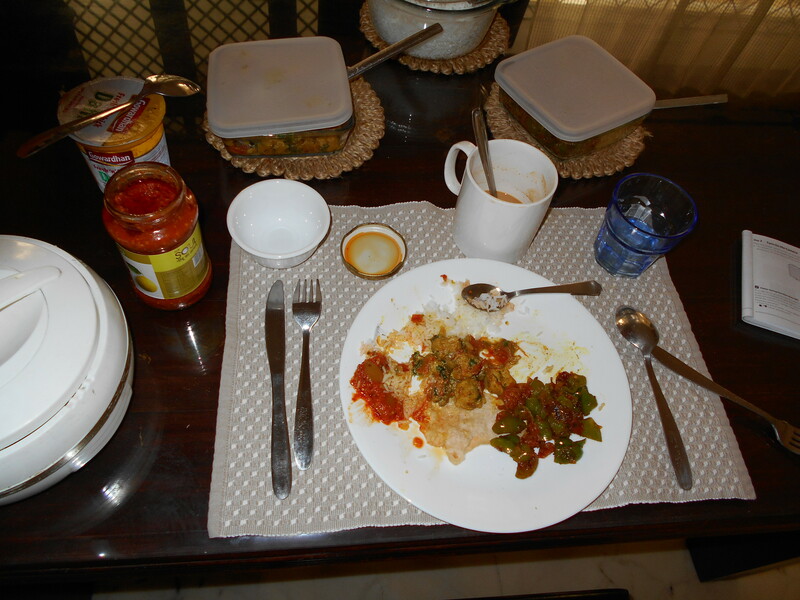 My first meal in Mumbai. How appropriate that your light should arrive during the celebration. Wish I was with you….next time!!? !